Make sure you are close to the source of the music for better song detection. 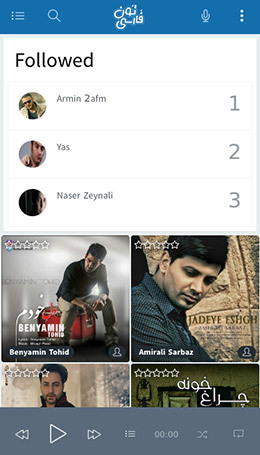 Listen to the music you love with minimal amount of advertisement. This is the best music app I have ever used. 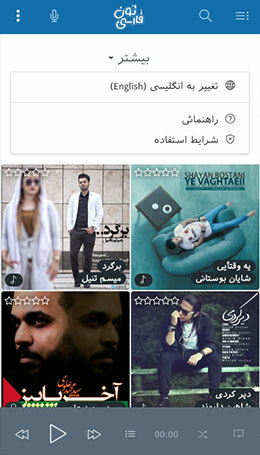 I have tried the other Persian apps available and none of them has the features FarsiTune has. I highly recommend it to everyone. I really like this app. I didn't need to login to use any of the features. 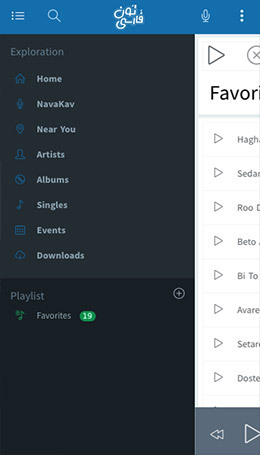 I especially love the NavaKav feature which allows me to detect songs on the radio or at parties. My son's app is the best app ever created in the history of apps. I have not installed it yet but I'm sure I will love it. We would love to hear from you regarding our apps. Please fill out the form below and we will get back to you as soon as possible. Copyright © 2016 Farsi Town, LLC. 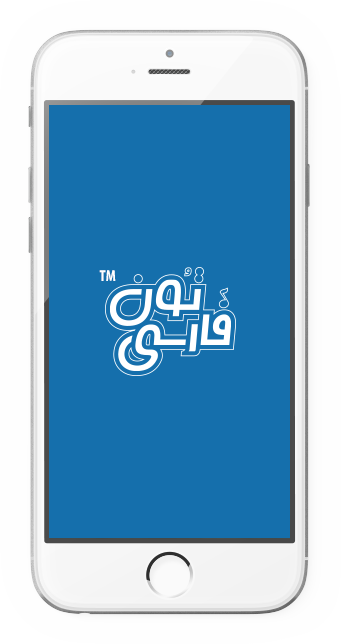 Farsi Town built the FarsiTune app as an Ad Supported app. 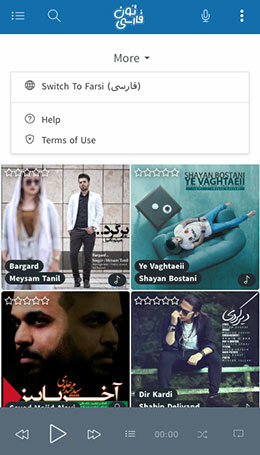 This SERVICE is provided by Farsi Town at no cost and is intended for use as is. 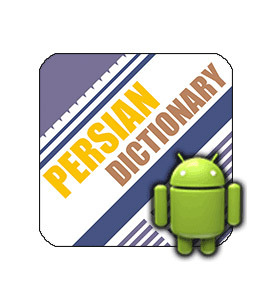 Please read these Terms of Service ("Terms", "Terms of Service") carefully before using the FarsiTune iOS and Android, iFarsi, and aFarsi apps (the “Apps”) provided by FarsiTown, LLC ("us", "we", or "our"). Your access to and use of the Apps is conditioned on your acceptance of and compliance with these Terms. These Terms apply to all visitors, users and others who access or use the Apps. By accessing or using the Apps you agree to be bound by these Terms. If you disagree with any part of the terms then you may not access the Apps. If you wish to purchase any product or service made available through the Apps ("Purchase"), you may be asked to supply certain information relevant to your Purchase including, without limitation, your credit card number, the expiration date of your credit card, your billing address, and your shipping information. We are constantly updating our offerings of products and services on the Apps. The products or services available on our Apps may be mispriced, described inaccurately, or unavailable, and we may experience delays in updating information on the Apps and in our advertising on other web sites. We respect the intellectual property rights of others. It is our policy to respond to any claim that Content posted on the Apps infringes the copyright or other intellectual property infringement ("Infringement") of any person. If you are a copyright owner, or authorized on behalf of one, and you believe that the copyrighted work has been copied in a way that constitutes copyright infringement that is taking place through the Apps, you must submit your notice in writing to the attention of "Copyright Infringement" of legal@farsitown.com	and include in your notice a detailed description of the alleged Infringement. You can contact our Copyright Agent via email at legal@farsitown.com. 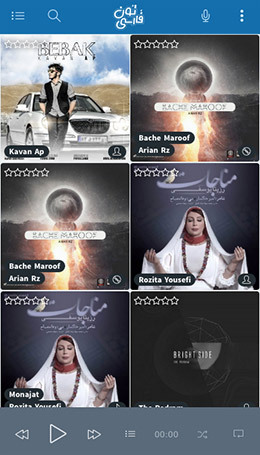 The Apps and their original content, features and functionality are and will remain the exclusive property of Farsi Town, LLC and its licensors. The Apps are protected by copyright, trademark, and other laws of both the United States and foreign countries. Our trademarks and trade dress may not be used in connection with any product or service without the prior written consent of Farsi Town, LLC. FarsiTown and FarsiTune and their respective logos are trademarks of Farsi Town, LLC. NavaKav is a trademark of Voipica Communications, LLC. We collect information from your device whenever you use our Apps ("Log Data"). This Log Data may include information such as your Internet Protocol ("IP") address, device type, operating system (OS) version, geolocation, services and features you use, songs you play and download, advertisements you click and other statistics. 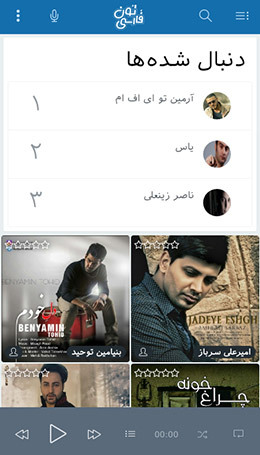 Our Apps may contain links to third-party web sites or services that are not owned or controlled by Farsi Town, LLC. Farsi Town, LLC has no control over, and assumes no responsibility for, the content, privacy policies, or practices of any third party web sites or services. 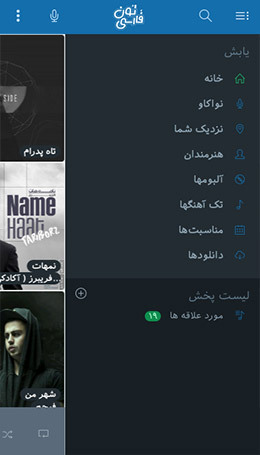 You further acknowledge and agree that Farsi Town, LLC shall not be responsible or liable, directly or indirectly, for any damage or loss caused or alleged to be caused by or in connection with use of or reliance on any such content, goods or services available on or through any such web sites or services. We may terminate or suspend access to our Apps immediately, without prior notice or liability, for any reason whatsoever, including without limitation if you breach the Terms. Upon termination, your right to use the Apps will immediately cease. If you wish to terminate your account, you may simply discontinue using the Apps. You agree to defend, indemnify and hold harmless Farsi Town, LLC and its licensee and licensors, and their employees, contractors, agents, officers and directors, from and against any and all claims, damages, obligations, losses, liabilities, costs or debt, and expenses (including but not limited to attorney's fees), resulting from or arising out of a) your use and access of the Apps, by you or any person using your account and password, or b) a breach of these Terms. In no event shall Farsi Town, LLC, nor its directors, employees, partners, agents, suppliers, or affiliates, be liable for any indirect, incidental, special, consequential or punitive damages, including without limitation, loss of profits, data, use, goodwill, or other intangible losses, resulting from (i) your access to or use of or inability to access or use the Apps; (ii) any conduct or content of any third party on the Apps; (iii) any content obtained from the Apps; and (iv) unauthorized access, use or alteration of your transmissions or content, whether based on warranty, contract, tort (including negligence) or any other legal theory, whether or not we have been informed of the possibility of such damage, and even if a remedy set forth herein is found to have failed of its essential purpose. Your use of the Apps is at your sole risk. 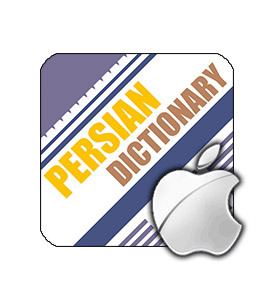 The Apps are provided on an "AS IS" and "AS AVAILABLE" basis. The Apps are provided without warranties of any kind, whether express or implied, including, but not limited to, implied warranties of merchantability, fitness for a particular purpose, non-infringement or course of performance. 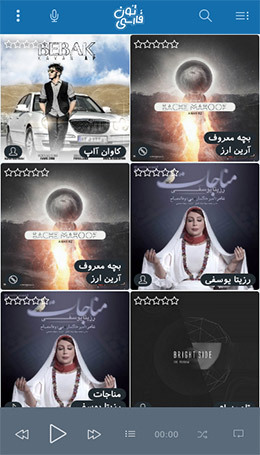 Farsi Town, LLC its subsidiaries, affiliates, and its licensors do not warrant that a) the Apps will function uninterrupted, secure or available at any particular time or location; b) any errors or defects will be corrected; c) the Apps are free of viruses or other harmful components; or d) the results of using the Apps will meet your requirements. Our failure to enforce any right or provision of these Terms will not be considered a waiver of those rights. If any provision of these Terms is held to be invalid or unenforceable by a court, the remaining provisions of these Terms will remain in effect. 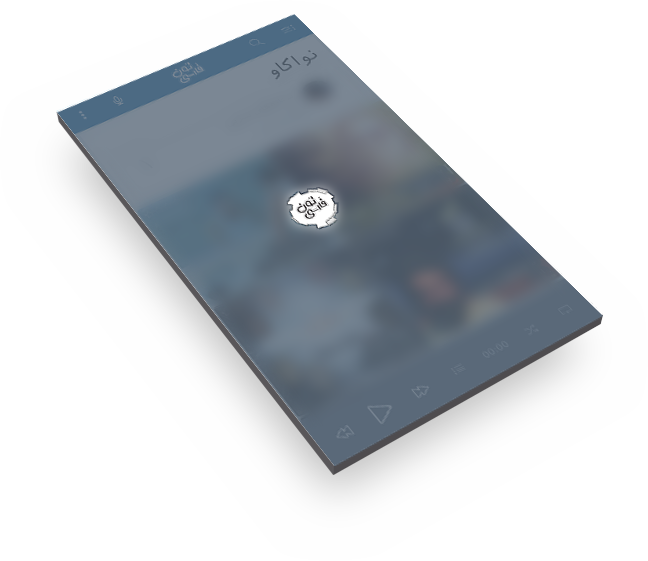 These Terms constitute the entire agreement between us regarding our Apps, and supersede and replace any prior agreements we might have between us regarding the Apps. By continuing to access or use our Apps after those revisions become effective, you agree to be bound by the revised terms. If you do not agree to the new terms, please stop using the Apps. If you have any questions about these Terms, please contact us at legal@farsitown.com.